Major U.S. retailers are working together to create a five-year safety plan for factories in Bangladesh, Reuters reported. The Bangladesh Worker Safety Initiative was prompted by the building collapse in April that caused more than 1,110 workers were killed in a building collapse in April, which followed a deadly factory fire last November. Currently, $42 million has been raised for the project to improve worker safety and risk management processes. The funding will help managers fix safety problems and assist employees who are out of work because a factory is closed for improvements or shut down for safety reasons. Factory inspections will be performed more frequently, and there will be an anonymous hotline for workers to report concerns, according to The New York Times. Retailers funded the safety plan based on how much production each has in Bangladesh, and those with the most manufacturing operations in the country will pay $1 million per year. Some of the retailers partaking in the plan include Wal-Mart, Gap, Target and Macy's. While the plan will require 500 Bangladeshi factories used by American retailers to be inspected for safety risks, some labor-rights groups expect it will take a much larger investment to make long-term improvements in factory conditions, The New York Times stated. The proposed plan will include shared accountability between retailers and factory owners. European companies made an initiative for managing factory safety by allocating funds for fire and safety hazard repairs, but the U.S. plan will require factory owners to fix equipment and facilities themselves with help from the Bangladeshi government. 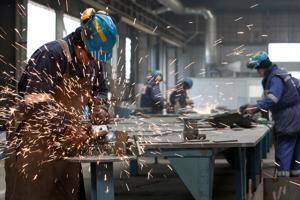 Some companies have pledged to offer more money for factory renovations, according to Reuters. The plan aims to create common factory safety standards within three months, share inspection results between all retailers in the alliance and help factories elect and operate worker participation committees to oversee safety.